Missouri Pacific nos. 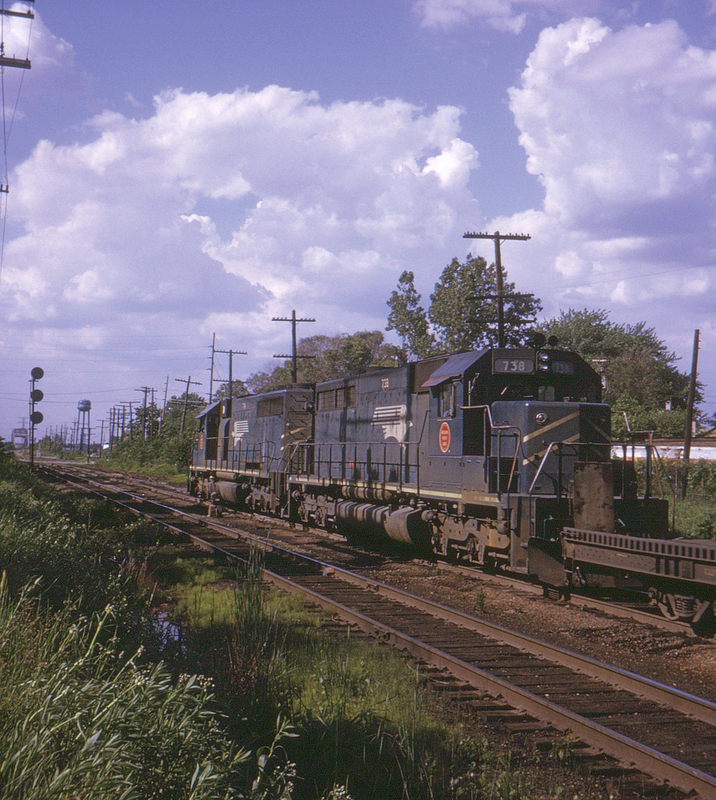 704 and 738 have just finished crossing the Pennsylvania, Indiana Harbor Belt and Baltimore & Ohio at Dolton Crossing as they lead a freight north on Chicago & Western Indiana rails towards Chicago. The bridge in the distance crosses the Little Calumet River.